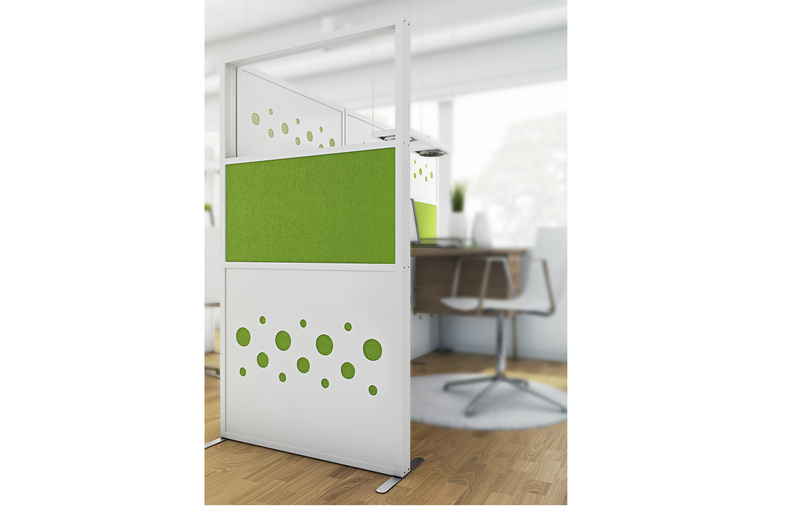 The Dotz floor screen has been developed from the Offizz screen. Its simple pattern of circles creates life, playfulness and dynamism. 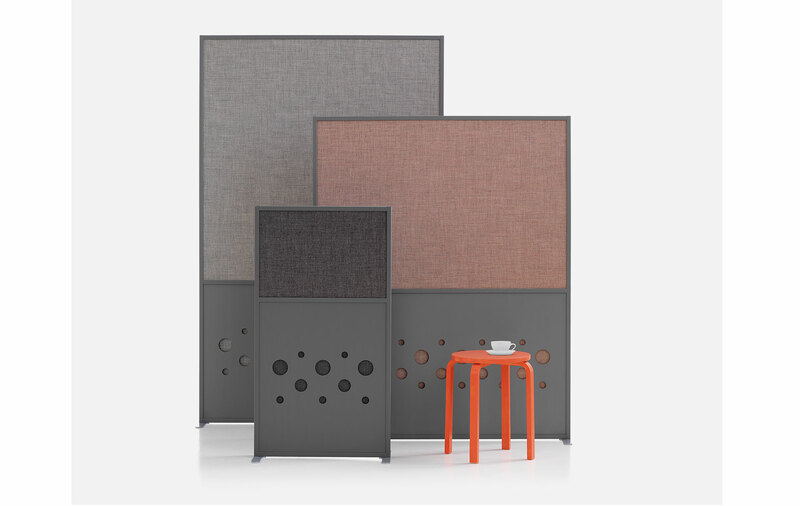 An attractive pattern can be created by choosing different fabrics in the perforations. 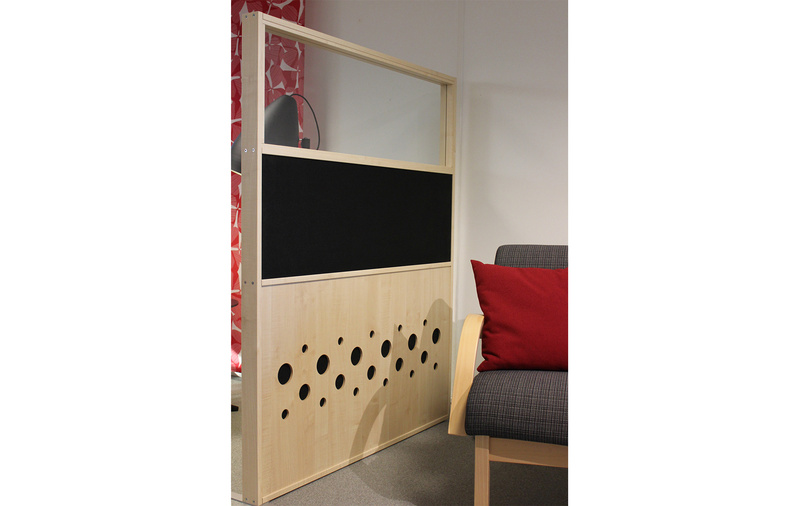 Dotz is available in several standard designs, shapes and materials. Mineral wool filling and external cover of textile or laminate.